Shirley Mae Potts, 77, of Great Falls, passed away January 24, 2019 at her home of natural causes. Cremation has been entrusted to Croxford Funeral Home. No services are scheduled at this time. Shirley was born on November 15, 1941 in Lewistown, MT to Thomas Holzheimer and June Burnham Green. In 1957, she married Wayne Croft, they had 5 children and were married for nine years. Shirley later met who would be the love of her life, James Potts. They wed in Yakima, Wa. in 1981. This union endured for 23 wonderful years. Over the course of her life, Shirley lived in Great Falls, MT for 25 years; Vancouver, Washington for 23 years; Yakima, WA six years; and Simms, MT for 15years. Throughout her working career, she waitressed and bartended at the Sip 'n Dip Lounge and the Rendezvous Room in Great Falls, and 23 years at the Red Lion Inn at the Quay in Vancouver, WA. In 2014, Shirley underwent brain surgery which slowed her down a bit. She then moved in with her daughter to be close to her family. Together they had many family gatherings, graduations and holidays together over those final years. She thoroughly enjoyed having everyone together. Shirley loved her visits with her children and grandchildren. She enjoyed playing cards, reading books, and watching cooking shows. She loved her dog peaches, but also loved watching the outdoor wild life; the birds, deer, dogs, and cats. In her earlier years, Shirley was a fantastic bowler, seamstress and gardener. She loved swimming and fishing. It was well known that she was the Seattle Mariners biggest fan. She will be missed by all this baseball season. Survivors include sons, Tim Croft (Val) Great Falls; Robert Croft (Gaye) Colorado Springs; Brian Croft (Traci) Battleground; daughters, Jackie Dickson (Kelly) Great Falls; Michelle Croft Centralia; stepdaughters, Cynthia Potts, Kirkland, Christina(Bruce) Royball; sisters, Sherry Conway (Identical Twin) Graham WA and Patricia Andersen Great Falls. Grandchildren whom she loved dearly; Canyon and Bridger Croft; Kendra Henderson; Jacob and Jared Dickson; Madison Croft; Erika (Teddy) King, DeSare and Brittany Croft; Kayla and Shelby Croft; Bentley, Steven, Henry, Shena, Tyler, Breann and Ellen - great-grandchildren, Kriss Williams; Keira Heming, Draeson King, and Damion Croft. 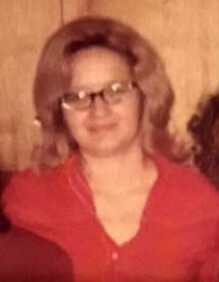 Those who have preceded Shirley in passing are her mother, June Green; father, Thomas Holzheimer; brother, Tom McGivern; husband, James Potts; and baby, Allen Croft. The family asks that memorial donations be made to the McClean Animal Shelter 1633, 900 25th Ave NE, Great Falls, MT 59404.